Lessie Bates Davis Neighborhood House – provides quality early childhood development services, comprehensive youth services, individual and family support services, services to older adults, and housing economic development services which will help move individuals and families out of poverty in the East St. Louis area. Give as you can. Every donation is appreciated. 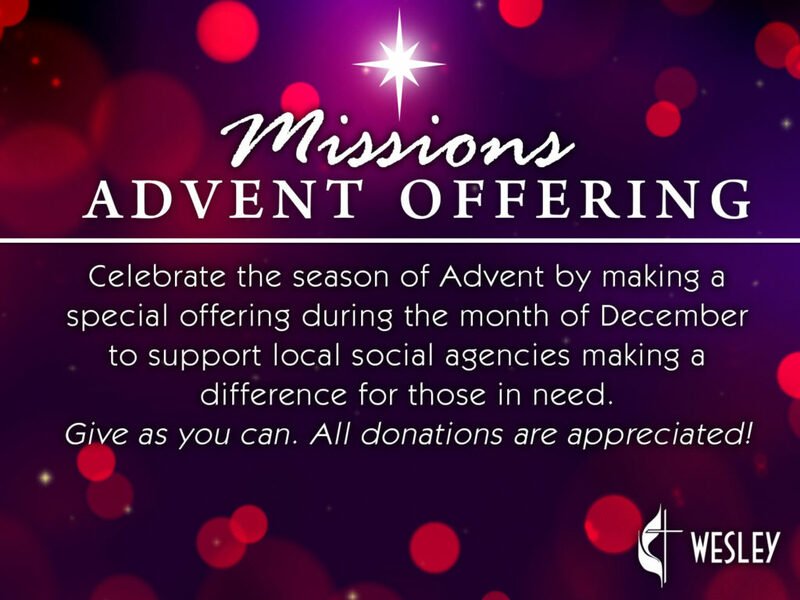 Please contact Sandi Hinrichs for more information about this important mission at sandi.hinrichs@yahoo.com or you can find special Advent Offering envelopes in the pews during Sunday services or at the Welcome Center. This entry was posted in News and tagged advent offering, wesley church, wesley missions, wesley umc, wesley united methodist church. Bookmark the permalink. Both comments and trackbacks are currently closed.